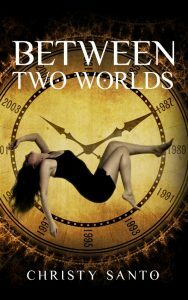 I am excited about my upcoming book titled “Between Two Worlds,” a short story about a university student who suffers a tragic accident sending her not only back in time but across states too. The story started to form in my head in the summer of 2014 right after I finished watching the 2006 UK series Life on Mars on DVD. It has a similar theme. The main character, policeman Sam Taylor, is in a tragic accident and is sent back decades to his childhood where he exists both as an adult and a child at the same time. There are differences – BTW is not a mystery, nor a police procedural, and my story’s setting is in the 1980s not the 1970s. I wrote the story in about a month then posted it in pieces on statictvblog.com. Right after I finished posting it in late November, I knew I wanted to go ahead and self-publish it for purchase. I went to work re-reading the story, expanding it by adding details to certain parts, taking out unnecessary details, and writing new scenes. I also wrote the description, the tag line, and several social messages that I will use too. Then I went back to the manuscript and worked with one beta reader at a time, six in all, reading in e-mails his or her critiques. I agreed with a majority of the suggestions and made the necessary changes to the manuscript. Last month I began to work with a proofreader. When I received her feedback I went to work on the manuscript once more then I returned it to my proof reader. All in all it has taken nine months to reach this point. A significantly shorter time than the over four years it took to publish the first book I wrote. I had three ideas for the book cover that I shared in a contest profile on 99designs.com. The website connects users with artists to create all kinds of things not just book covers. It can be a logo for a business, decals, magazine art and a lot more. The contest ended April 23rd and I chose the winning design which I will share in the near future once I have the final file. Yesterday I received an e-mail form my proof reader and the return of my manuscript. Once I read it through at least twice, I will see where I stand and if I need any more help from my proofreader or if we are finished. My estimate for the time left until I publish BTW is two to three months. The time will be spent finishing learning what I need to from Scrivener to combine all the pieces of the book that will create the e-book file to come. And I have to fit in advertising the upcoming book before it comes out. It is an exciting time and I will even bottle a little of it for I know at some point the stress may hit, and I will need it to help me get through it.